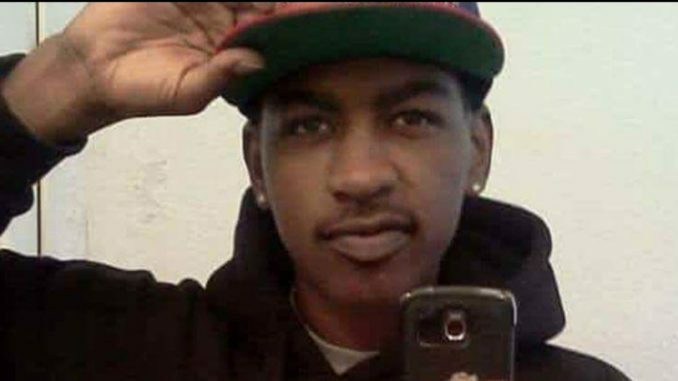 ANOTHER ONE: Diante Yarber, unarmed 26 year old Black father of 3, has passed after police reportedly fired over 30 shots into the Black mustang Diante drove. Around 10AM, Diante drove his cousin & friend to Wal-Mart & waited in the car for them to return. San Bernardino County sheriffs claim they got a call about a vehicle of “suspicious looking people” in Wal-Mart’s parking lot. An investigation also revealed that officers were not in the path of the vehicle Diante was driving when they opened fire on the unarmed man. According to The Root, this is the same story used by Officer Roy Oliver who opened fire on a car full of teenage boys in April 2017 & killed 15 year old Jordan Edwards. The Balch Beach, Texas Police Chie was later forced to retract that story. Barstow police then said Diante was a “suspect wanted for questioning in a recent crime involving a stolen vehicle.” However, the mustang he drove belonged to his cousin, who was one of the passengers. In a packed Wal-Mart parking lot around 10AM, Police opened fire, shooting over 30 rounds into his driver side door and windshield, while other customers ducked for cover. 2 dozen bullets struck Diante & killed him. His passengers, including his cousin who owns the car, were critically injured. Diante leaves behind 3 daughters; a 9 year old, 7 year old and 1 year old.